CrowdStreet allows accredited investors to purchase real estate investments through their platform, which is essentially syndication. Investors can from a wide variety of choices, sign legal documents online and maintain their portfolio. Unlike many sites, CrowdStreet features both debt investment and equity opportunities. These include a wide variety of projects including retail, office, industrial and land. CrowdStreet reviews every potential opportunity and rejects those that do not meet their strict standards. At this time only accredited investors can look at the investments on CrowdStreet. 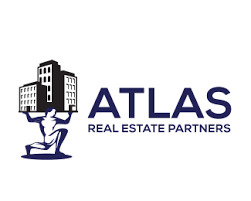 Usually, these are wealthy individuals interested in real estate investments, but are interested in combining their resources with other investors. The site benefits accredited crowdfunding investors because now they can see opportunities that were potentially only available to institutional investors were private individuals. Because they provide wide access to new opportunities, a larger pool of real estate options becomes available. Investors can put their money into a variety of properties across a wide geographic range with a small capital outlay. Investors see a return on their real estate investment when CrowdStreet distributes the money. Distributions depend on whether the investor has selected equity, debt or a form of hybrid investment. Investors receive distributions in the form of a share of profits for equity investors. Debt investors receive their distribution at a previously agreed-upon interest rate. Both investors would also receive distributions when a property is sold. There is no fee to join the platform and get involved with investment opportunities. There is a minimum investment for individual opportunities, and some are very low-- in the area of $10,000. CrowdStreet may open their platform to nonaccredited investors in the future depending on the outcome of the Security and Exchange commission's decision on updating regulations of the JOBS Act. CrowdStreet announced in September of 2014 and they had received $800,000 in seed funding from a group including Green Visor Capital and Seven Peaks Ventures with additional participation from the Portland Seed Fund. 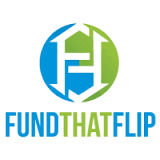 They have posted crowdfunding real estate properties worth more than $100 million. If this CrowdStreet review does no tell you what you want to know, read what investors have to say. I am relatively new to CrowdStreet, but they have great deal flow and offer very attractive returns. Most deals are equity deals rather than debt deals. Their due diligence appears to be thorough. Most deals have minimum of $25k or higher, but a few are as low as $10k. One minor frustration I have had is trying to determine how the investment income is taxed. Most deals provided K1 forms annually which will provide income, depreciation, and capital gains info. However, very few of the sponsors are able/willing to provide projections for these numbers. Most deals seem to have significant depreciation so for many deals it seems you won't get hit with taxes until deal is fully closed and most of the income will be taxed favorably as capital gains. The other slight nuissance is the paperwork and funding for deals. My prior experience is with ShareStates which is very easy to invest and fund deals after you are registered and verified as accredited investor. With ShareStates, you basically just click a few boxes to approve ACH transfer from your bank account (which you can save in your investor profile). With CrowdStreet, ACH transfer is often not an option so you have to send funds either by wire or mail. Also, you have to send funds directly to each sponsor so each investment requires different addressee information instead of one central place that distributes funds to sponsor. The paperwork for investor agreeemnt is also more onerous than I am used to with ShareStates. But overall I am moving towards this platform because of deal flow, attractive returns, and favorable tax treatment of equity deals despite my minor frustrations. 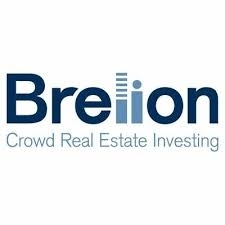 I appreciate CrowdStreets depth of knowledge in CRE and the effort they go through to vet deals and work with sponsors to tailor their offerings to their investor base. CrowdSteet also recently raised a significant amount of capital to grow the platform suggesting that they are in this for the long-haul. With these funds, they have accellerated their deal flow tremendously over the last few months giving investors a lot to choose from. Highly professional and open to feedback and continuous improvement, they recently implemented the ability for investors to communicate with each other through the platform. They also host meetings across the country providing education and face-to-face meeting opportunities between investors, sponsors and CrowdStreet leadership. I have a total 5 deals through the platform. As with any investments, don't rely solely on the platforms due diligence. At the end of the day, it's your money in the deals, not theirs. I've found CrowdStreet's deal flow to be exceptionally good vs. their competitors. The IR team is responsive and helpful in working out issues that sometimes come up with the sponsors. CS is one the main sites that I use to find new RE deals with Crowd Funding. I have been using the CS for more than 2 years. I like the fact that they have Webinars and very responsive investor relations team.